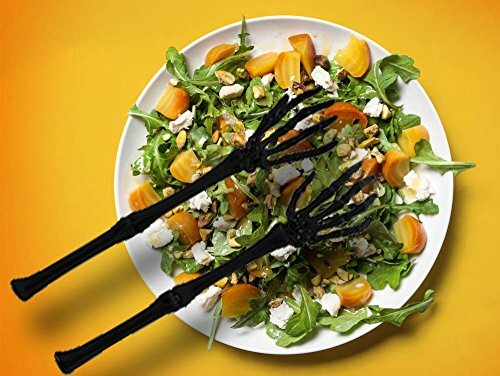 These skeleton arm servers are sure to be a hit at your next Halloween or Over the Hill birthday party. 12.5" long. 2 pieces. Great for serving salads, pastas and more! Plastic. Use to serve salads, pastas and more! If you have any questions about this product by Fright Night, contact us by completing and submitting the form below. If you are looking for a specif part number, please include it with your message.